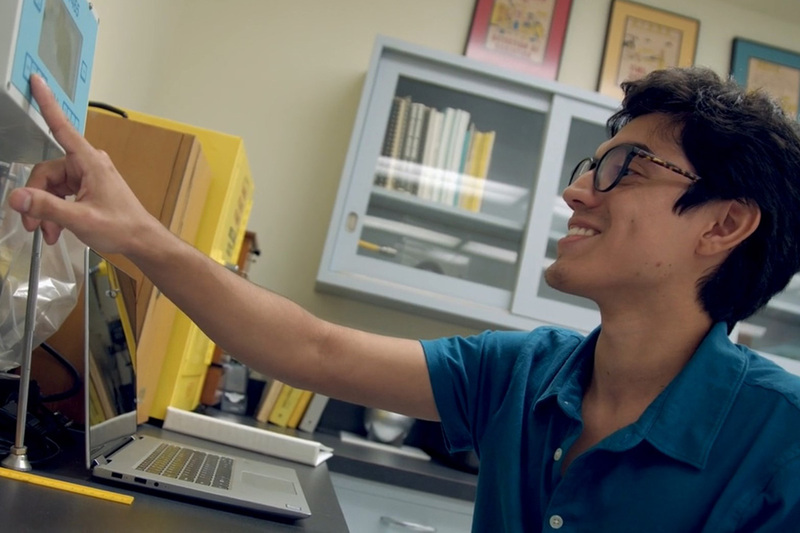 Through ORAU's Visiting Faculty Research Program, LSU student Tony Davila investigated various methods by which the depth of nuclear contaminants in human tissue can be determined to help surgeons more easily remove them without damaging surrounding tissue, blood vessels or muscle mass. ORAU researchers are testing a novel approach to an uncommon problem using relatively common equipment. That’s the short explanation for a project to determine whether radiation detection devices commonly found in any nuclear medicine suite can be deployed to the scene of a radiation medical accident to determine how far into tissue a piece of nuclear material has been deposited. “We have a registry of radiation medical accidents, and some of them have involved material being deposited underneath a person’s skin, whether by puncture or shrapnel or some other way,” said Jason Davis, CHP, Ph.D., health physicist for REAC/TS, the Radiation Emergency Assistance Center/Training Site, a world-renowned U.S. Department of Energy asset located at the Oak Ridge Institute for Science and Education and managed by ORAU. “The challenge with these types of wounds is getting the material out without doing too much damage to the surrounding tissue,” Davis said. The vast majority of these types of injuries are not life-threatening. Responders then move into dose control mode. “The longer the contamination is in the wound, the more dose the individual is going to receive. So we want to try to get it out as soon as possible,” said Tony Davila, a researcher on the project who is pursuing a Master’s degree in Medical and Health Physics at Louisiana State University. Davis and Davila are investigating various methods by which the depth of nuclear contaminants in human tissue can be determined to help surgeons more easily remove them without damaging surrounding tissue, blood vessels or muscle mass. While there are ways to determine the depth of contamination using very large and expensive equipment, “we’re using instruments that any nuclear or radiation technician would have readily available,” Davila said. Davila is using small, sealed sources of radioactive material. Small pieces of plastic with nearly the same elemental composition as human tissue are placed on top of the source. “We’re changing the distance from the source to the radiation detector. By looking at the spectrum that is emitted, we can gain information about how deep the point source is in the material,” Davila said. 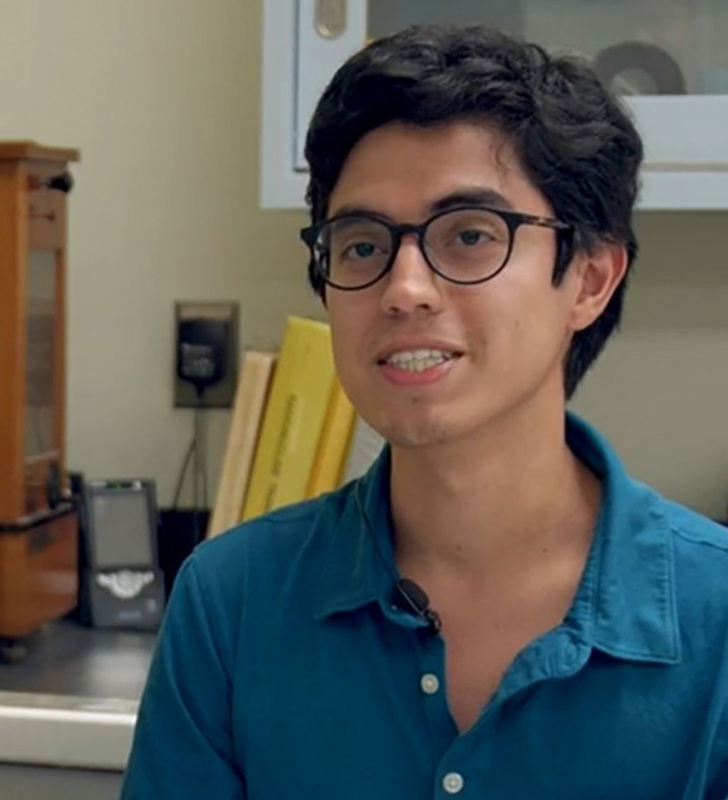 Davila completed data collection in August before he returned to LSU, where he will analyze the data and work with Davis and his faculty member on a paper he hopes will be published. “From our data, hopefully we’ll have a very good estimate of how deep the contamination is, and it’s also a very simple method that can be done very quickly,” Davila said. The project is funded through ORAU’s Visiting Faculty Research Program, now in its second year. The VFRP creates teams to tackle research projects of interest to the organization. Teams are comprised of faculty from an ORAU university consortium member institution, a student intern and an ORAU subject matter expert. ORAU awards a $5,000 grant to the faculty member, and pays for travel expenses for the student to come and work with the ORAU subject matter expert. ORAU funding for this particular project supports the ORISE mission. ORAU researchers are testing a novel approach to determine whether radiation detection devices commonly found in any nuclear medicine suite can be deployed to the scene of a radiation medical accident to determine how far into tissue a piece of nuclear material has been deposited.